Brokers have their criticisms of reverse mortgages but one of the leading providers of these mortgage products wants to dispel one of the most popular arguments. “After 28 years -- and through one of the worst financial crises we’ve seen in Canada -- in most cases at the time of sale our clients have an average of 50 per cent of the equity left in their homes,” Jeff Spencer, VP of National Sales for HomEquity Bank says in an official release. According to CARP, a national not-for-profit organization committed to a “new vision of aging for Canada,” 12 million working Canadians (two-thirds of the workforce) do not have workplace pension plans and RRSPs have “not been the answer” to retirement security. Spencer believes the solution is a reverse mortgage, such as the CHIP reverse mortgage his HomeEquity Bank offers. I have not seen a reverse mortgage yet that I like. I have many seniors who I see and a lot are referred to me by their adult children. They need debt relief in almost all cases to be able to stay in their homes. Even today with low rates a client can get a $100K mtg at 3.19% or lower with a 30 yr Amm that is only $483.00 mth or $264 a mth interest only. Seniors want to protect their equity and the appreciation that home will bring in the future. They want to sell and down side when they are ready to do so, or may need the cash for a long term care facility. What ever, seniors are wanting to stay in their homes longer and are in better health today to enjoy retirement. 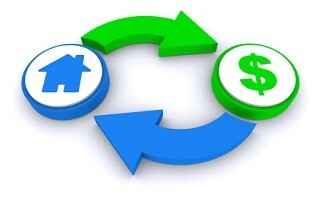 Reverse mortgage is not for everybody, it is really depending on each case scenario. I believe that reverse mortgage is a good product for seniors who want to stay in their homes, lots of equity but cash poor. They cannot have a decent standard of living just relying on their pension, CPP & OAS, reverse mortgage can offer an alternative for this group of seniors. The Homequity Income Advantage Program can be a good alternative as their maximum limit is 50% of equity of the house. If the house is free and clear, the senior is over 65, not sufficient income nor good credit rating to qualify for regular mortgage, reverse mortgage from Homequity Bank can solve this group of senior's cash flow challenge and still have 50% of the equity left for their families.